North America’s Leading Educational Conferences for PM and BA Professionals. 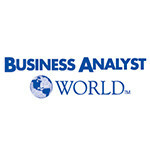 BusinessAnalystWorld brings your experience and visions of improvement to a platform where you can exchange ideas, spark inspiration and implement positive changes. 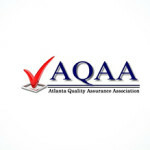 The Atlanta Quality Assurance Association (AQAA) was founded in 1984 with the belief that no one company or individual can learn everything that is needed to assure a Quality Environment. AQAA is a not-for-profit organization organized to share state-of-the-art Quality Assurance methods, tools and techniques among its members. Our membership is comprised of professionals working primarily in the IT industry. AQAA is a QAI Federation Chapter. Our mission is to provide interaction among member organizations in the Atlanta area, to mutually support each other and to allow the exchange of information about Quality Assurance, Software Testing, and Total Quality Management. The QAI Global Institute was founded on the premise of having an association of IT professionals who shared knowledge and experiences in order to broaden and strengthen the recognition of the IT practitioner and IT industry. Since then, the Institute has created a worldwide network of IT professionals, developed over the past 25 years, resulting in relationships with world–class industry leaders. 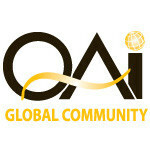 The QAI Global Community includes regional Chapters that focus their attention towards providing local professionals with resources to promote their continued pursuit of knowledge and skill building.